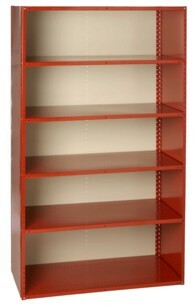 Archival Shelving is specifically designed to store archival material. There are many common sizes including 42" wide and 30" deep so that efficient use of the cube can be made for archival boxes. For instance, the 42" width allows for three boxes wide with little wasted space. 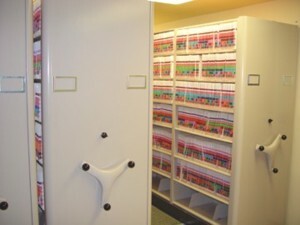 The same is true of the 30" depth which allows two archival boxes to be placed back to back. While the 30" depth is more common you may want to consider the 32" depth which fits most archival boxes even better. There are many other types of material that can considered archival and there are many specific shelving types for each one of them. Please phone us and we will be happy to recommend a good fit for your application. 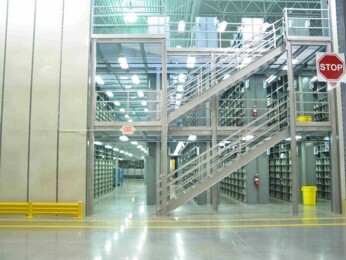 From simple to complex solutions for all forms of shelving, including sophisticated multi-level and modular, and automated storage applications. 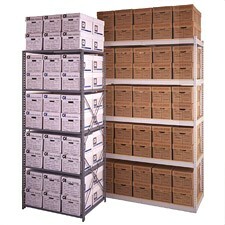 There are many types of shelving that can be utilized for archival shelving including four post, beaded post, teardrop post, rivet shelving, wire shelving, chrome shelving, metal shelving units, mobile shelving, high density shelving, and box shelving. 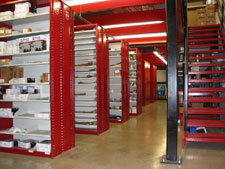 Our Shelving Systems are carefully engineered systems designed to provide highly efficient storage. Records Centers, Business Archival Records, Museum, Law Records, Accounting Records, and Personnel Records. Borough's, Richards Wilcox, Tri Boro, Jaken, Penco, Equip to, Western Pacific, Quantum, Rousseau Metal, Lyon Workspace Products, Mobile Media. Law Firms, State Agencies, Federal Agencies, School Districts, Water Reclamation Districts, BYU, U of U, Utah State, IHC, Boeing, Northrop, Newskin, Hill Air Force Base, Megadyne, Park City, Libraries, Indian Affairs, VA Hospital, MckayDee Hospital, RSC Rentals, many many more. We would love to provide you you with an abundant number of new and old reference letters recommending our sales staff, the products we sell and our elite installation and service teams.